After the birth of a daughter and a son, John and Val Matthews welcomed David John Matthews into the world on January 9, 1967. Touring quickly became a standard in his life. From his birth town of Johannesburg, South Africa, the family moved to Yorktown Heights, a suburb of New York. IBM, John’s company, then uprooted the family to Cambridge, England. After a year in Europe, the family returned to the New York Suburb. It was back in the USA when Dave first began his guitar playing. At age 9, Dave took his first guitar lesson. This was a step up from his early piano playing days. “I loved to play the piano like it was drum kit (Guitar Player, 1996). Unfortunately, the first tragedy of his life also accompanied the return to America. In 1977, John Matthews died of Lung Cancer. “We figure he might have got the disease from the radioactive material he handled.” (Rolling Stone, 12/12/96)	Val Matthews returned the family to South Africa. “It was for family that we wen back (to South Africa)… a single mom with four kids.” Dave obtained dual citizenship by becoming a US citizen in 1980. Val Matthews spent time in the anti-apartheid movement as an activist. As a Quaker, fighting social injustice is practically an edict. “I’ve gotten great inspiration from a people… who have been suppressed but made their culture grow and, in a way, surround the oppressors. Their culture was their last voice, and no one could take it away.” (Sarasota Herald Review, 8/30/96). After spending 4 years playing guitar, and mixing in the occasional schoolwork or two, Dave left South Africa in 1986. A mandatory military service was required for all South Africans. His distaste for Apartheid aside, Dave could site his Quaker upbringing for military avoidance. The Quaker faith stresses a passive non-aggression. After a brief time in New York City, working for IBM, Dave joined the family in Charlottesville, VA. Dave’s father taught at the University of Virginia in the mid 1960’s. Dave briefly attended Charlottesville Community College, with an idea about Art School. Mainly, Dave played guitar and sang. He also tended bar at Millers in C’Ville. It was at Millers where Dave first met Tim Reynolds. After some open mic performances, Dave first performed with a group in 1989, joining TR3 for a rendition of Bob Marley’s “Exodus” (Nancies, 1/11/01). Shortly thereafter, Dave played some gigs with Peter Griesar. Dave performed some original songs, but nothing that would last into the DMB days. In September, 1989, Dave sang a duet with with Dawn Thompson. The new decade brought a new emphasis on music for Dave. In 1990, Dave met Ross Hoffman, a local songwriter who owned a recording studio. Hoffman encouraged Dave’s writing. “Before then, I had just doodled around on the guitar, and never finished a song…” (C’Ville Weekly, 10/7/94) Hoffman helped Dave strengthen intros and outros, and put fragments together from different songs for a complete sound (Lauren Hoffman). By October, 1990, Dave completed 4 songs. Greg Howard lent his studio to record Dave’s first 4 songs. With Howard on the Chapman Stick and Saxophone (and some backup vocals), Kevin Davis on percussion, and John D’Earth on Trumpet, the quintet recorded Recently, The Song That Jane Likes, I’ll Back You Up, and The Best Of What’ Around. Dave used that demo to convince Carter Beauford and LeRoi Moore to join him for another demo. The three got together in January, 1991, and… well… Sucked. “… We were awful. Noth just kind of bad, I mean heinously bad… Sometimes it amazes me we ever had a second rehearsal.” (C’ville Weekly, 02/07/92). Stefan Lessard joined the trio to provide a much-needed bassline. The ultimate goal was to record a demo. Boyd Tinsley sat in on some practices, and guest-starred on the band’s first “official” demo, recorded sometime in March or April, 1991. Recently and STJL, both repeats from the first Dave demo, appeared, along with Boyd Playing on Tripping Billies. That Demo led to a live show. Which begot another live show, and another... well, you get the picture. 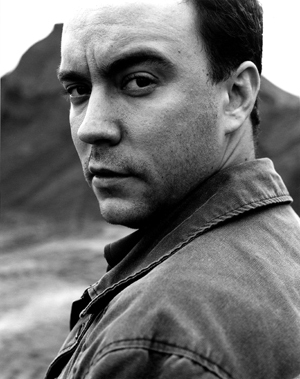 The Dave Matthews Band was born. Dave is married (Ashley), and has twin daughters (Grace and Stella). His next child is due in July, according to reports.